The RECOVER USERNAME option is on the left side of the page. 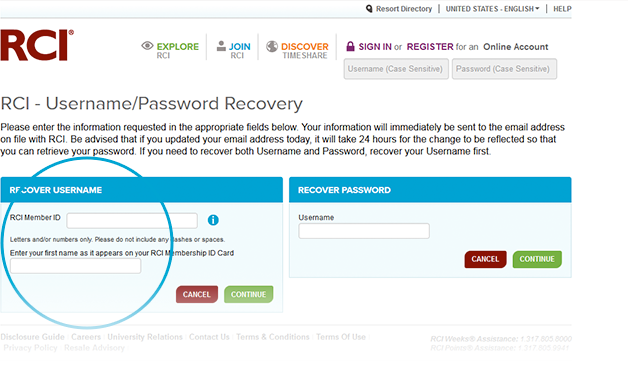 Fill in the fields for RCI Member ID and your first name as it appears on your RCI Membership ID card and click CONTINUE. An email will be sent to your inbox with your username.